I have seen the 46ers film, and I will see it again tonight. It is wonderfully crafted, with a good balance of amazing ADK views and personal interviews. A tale told with some tragic stories without lecture, and some uplifting moments that make you want to find the places where you are similarly inspired. This documentary is supported by an excellent score, sharp editing and color correction, and a cadre of hikers who were on the journey or cheering from the sidelines. The 46ers Film website. See it if you can! Disclaimer: My son and I are in some background shots and we are totally enamored with the Adirondack Mountains and with this effort to share the wonder of them. So why is this the opening idea in a post on sustainability? I have seen the development of this film, not from the very start, but from pretty early on. I have heard the background stories and I have seen the end product. Let me tell you, this piece of work is the result of honest, gracious, and integrative design at its best. Blake Cortright, at the ripe old age of 21, is the conceiver and director of this film. He went into it after a long high peaks hike, with the question in his head “Why do people do this? Why hike the 46 high peaks of the Adirondacks?” What is it about this area that is so compelling? A clearly formulated question with no pre-conceived answer. That’s the key. He let his discussions with others and his own experiences give him the path to an evolving answer. It was a process of identifying a moment or a phrase or a look and then building on that with other hikers…is this what you feel? Tell me more. Did it harm the power of the film for it to become a story of a love affair with hiking and the ADKs? No. There is exceptional strength in this consistency of the answer, and answer provided by the interviewees and the mountains themselves. He also worked with an excellent crew of co-conspirators, such as the composer, Justin Michael Britton and the other cinematographers such as Matthew Elton. I’m sure Blake had clear goals, but he also was certain enough of the concept to rely on those more expert in their work. Justin knows music and emotion driven or supported by it. Blake wanted a swell in one location, with horns, and Justin said it would be better to do this other thing, and have the swell at a different location. Does acquiescing to Justin’s input make Blake weak? Quite the opposite. It makes him strong in the knowledge that it takes many to develop a product based on a vision. At the same time, pushing the aerial photographer and pilot for one last pass over Marcy in the early morning hours helped him to achieve the clear vision in formation. They didn’t think it was needed, Blake knew it was. And he held to his ideal. This is what is missing in most traditional design and construction projects. What’s missing is the recognition that every building is entirely different from every other, even cookie-cutter design with consistent drawings and plans. Each team has different skills and experiences and we need to, as leaders, be able to build on the inputs of those other areas of expertise. 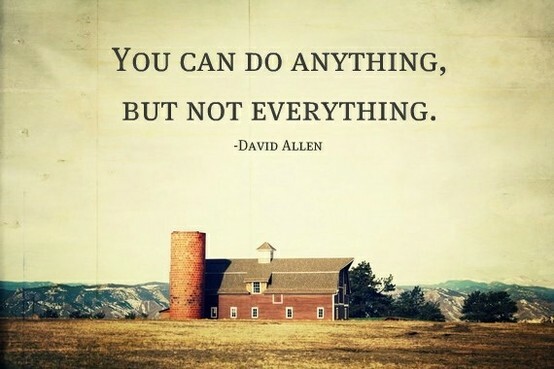 There is a great quote by David Allen: “You can do anything, but you cannot do everything.” Strength and success come from the knowledgeable and guided collaboration of capable teams. In Integrative design, the team itself must also expand to include the building managers and users, the financial entity backing to work, not to mention the more obvious contractors, material suppliers and system designers. So, if we cannot do everything, we must work with each other to achieve. An owner has a concept of what they want. An architect should help to craft the vision using their expertise and constantly updated knowledge-base. Then they must become the communications expert to help, like the director of a film, find the answers through iterative, collaborative process. Finally, they need leadership and management capabilities to coordinate and focus the wide variety of skills needed to bring the vision into existence.